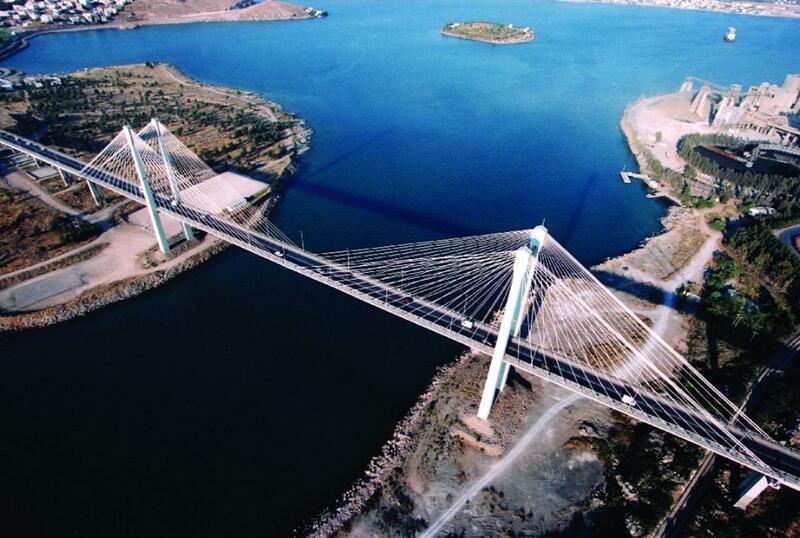 Evripos Bridge is the first cable-stayed bridge ever constructed in Greece. With a central cable span of 215m, side spans of 90m each and a total length of 695m including the access bridges, it reaches across the southern end of the Evripos Straits. It is considered one of the most beautiful bridges in Europe due to its distinctive design, featuring meticulous construction and a very thin 45cm compact deck.